ABN Amro, ING, KPN, Rabobank and Vodafone are exploring a range of alternative ways to work together to introduce NFC services in the Netherlands, program director Wim Westerhof has told NFC World, in a bid to avoid the regulatory hurdles associated with forming a joint venture company. Vodafone, KPN, Rabobank, ABN Amro and ING have abandoned their plan to create a joint venture to bring NFC to market in the Netherlands, but are continuing to work together to find an alternative way to introduce NFC services. The banks and carriers first announced plans to form a joint venture company, in conjunction with T-Mobile, in September 2010. T-Mobile dropped out of the plan in November 2011, however, saying that it planned to follow its own route to market. Now, the five remaining partners have decided to cancel the original “Sixpack” plan “in its current form” and are instead looking at adopting a different, but still collaborative, business model. 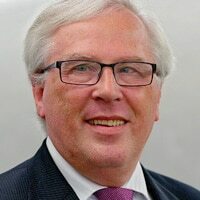 The main reason for the change of direction was that the partners discovered that legal and competition issues meant that forming a joint venture company was “far more complex than we originally thought it would be,” Rabobank’s Wim Westerhof, program director for the Sixpack project, has told NFC World. These issues led to delays in being able to form the joint venture, Westerhof explained. And, in the meantime, the market has moved on so that there are now new ways of achieving the original goals that the Sixpack partners can use to collaborate — without the need to jump through those regulatory hurdles. The delays led to members of the Sixpack steering group asking “is there a possibility to do it in a different way?”, says Westerhof. This led the group to look at approaches such as that used in France’s Cityzi NFC service. There, rather than having one central trusted service manager (TSM) owned by a joint venture company, each mobile network operator and each service provider is able to appoint its own TSM.